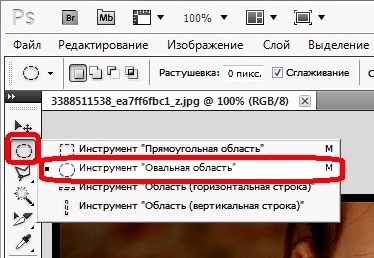 There are several ways in which you can change color of eyes in Photoshop. Method, which is described below, is simple and allows for only a few minutes to give the eyesyou want color and saturation. This will allow you to drastically change the color of the eyes, to give them a different shade or just eliminate the red eye that appears from the flash of the camera. Open the photo that you wish to change the color of the eyes. For convenience and more accurate selection of the eye (pupil) it is desirable to enlarge the image (menu "View - > Zoom or Ctrl++). Select the tool "Oval" (M), which is on the toolbar. This tool will highlight the eyesand (pupils). To work with two pupils, select the second eye, hold down the Shift key. To highlight the eyesand be careful not to touch the eyelids. If the allocation you have allocated a little more than you need, or you need to reduce the selected area, move on to the next step. To correct a selection, select the tool "polygonal lasso" (L). Select this tool, the extra area made the selection, you want to subtract, hold down the Alt key. After isolation of the fragment, release the key and mouse button. Thus subtract from selection all the extra pieces. 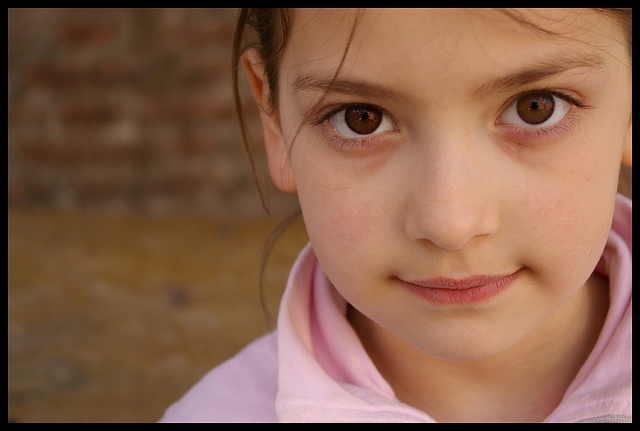 To change the color of eyes, use the "hue/Saturation (Hue/Saturation). This feature can be accessed through menu "Image" (Image -> Adjust -> hue/Saturation) or press Ctrl+U. Another option: Layer -> New adjustment layer -> hue/Saturation. 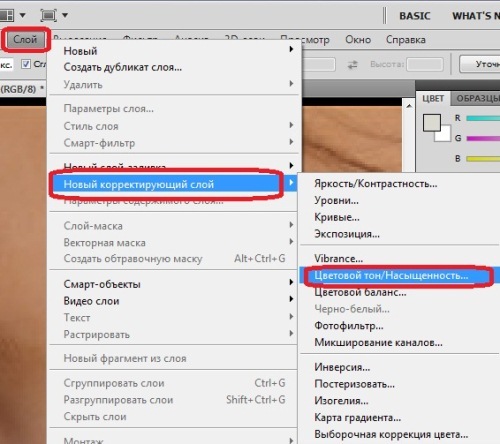 In the second case, in the resulting window you can also set the opacity level, for example, in the case of small replacement shade for optimum natural color. 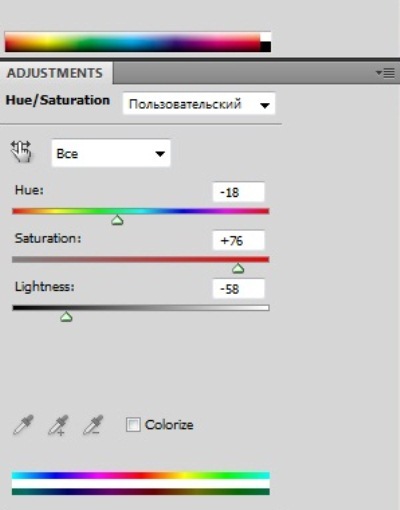 Adjust the sliders in the "hue and saturation (Hue/Saturation) as long as you are not satisfied with the resulting color of the eyes. 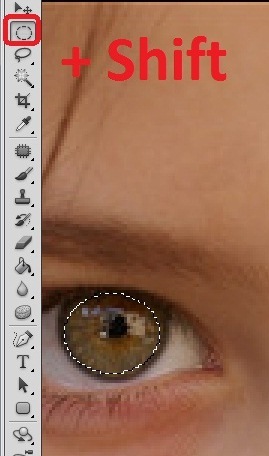 How to change eye color in photoshop. What to do if your favorite photos eye color is not quite beautiful or you don't like? 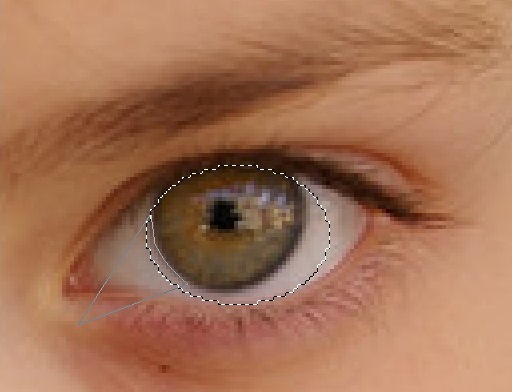 Let's look at lesson change eye color on photos in photoshop. In this simple Photoshop tutorial we are going to use the technique of "old school" to change eye color in photoshop. Select the desired diameter and accurately describe the iris of the eye. Sracek need to leave the black because it is color never changes. When drawing you can even to be slightly out of the desired area, the brush will paint only one color, which is close to the color in the Central region.